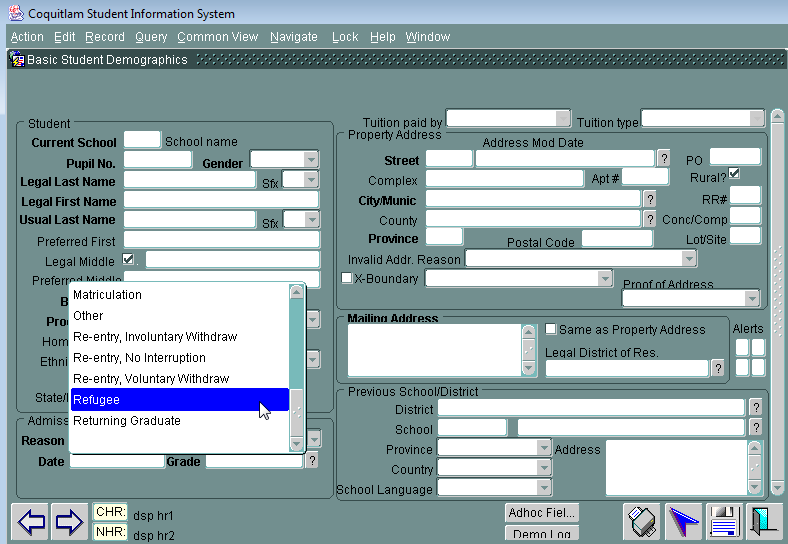 BCeSIS is a nightmarish grade-reporting program mandated for use in all BC schools. When droves of teachers began to report problems with the program, the British Columbia government spent over $50 million to fix it, with basically no results. It’s buggy, heavy-handed, and reminiscent of software from the early 1990’s. This is what we use to create your children’s report cards that attempt to guide them through the formative years of their lives. Any business would quickly ask why anyone would use something so pathetic across the province. There are twitter accounts and YouTube videos dubbed over old German WW2 movies (see below) dedicated to mocking and berating the existence of this digital problem package. In private industry, an agile, user-friendly, service-oriented competitor would have quickly pitched their platform and earned the contract. Alas, red tape and provincial mandates. And today, in the middle of report card writing season, BCeSIS won’t even open on any of my internet browsers, since it was built on an old version of Java and the update renders it inaccessible. It’s bitter, ridiculous irony: a report-writing program designed to “support student achievement” has done so little towards that goal; I would go so far as to say BCeSIS has negatively affected reporting in British Columbia. The space it provides teachers to summarize the total personal, intellectual, social and emotional learning of their students is an inadequate three sentences. The amount of headaches caused to teachers during report writing weeks and weekends have been enough to begin the next week of teaching exasperated and grumpy. This software is supposed to make our jobs easier, not harder. And with the incredible amount of great tech start-ups even right in Vancouver (like the world-class Hootsuite) almost anyone could have done it better. Imagine a beautiful, local solution we could be proud of. But somehow, in this stupid catastrophe, we have ended up with a worthless and meaningless platform produced by a technology company whose work in general has been less than superior; technology which makes us feel like we’re doing data entry on lab rats or testing out retro software that feels like you should have accessed it using MS-DOS prompt. Government of British Columbia, I implore you. Quickly axe BCeSIS as suggested in 2011. This living nightmare has lasted long enough. The Internet may be the most powerful democratic force in the world. Theoretically, every user has an equal voice. There are still a few problems, of course. Every once in a while a user encounters a seriously problematic idea. Send in the trolls. @laurendubinsky I have yet to meet a homeless person that doesn’t praise God for what little they have. @GabrielGadfly @laurendubinsky I wonder if homeless atheists feel uncomfortable receiving aid from faith-based support centers. @GodlessAtheist @gabrielgadfly Many of the religious groups force their religion on them in return for food. Also much of the support is state funded. In the first reply, Gabriel Gadfly (surely his birth name) poses what seems like an honest question. Do homeless atheists, in general, feel uncomfortable receiving aid from faith-based support centers? We will get to his question in a moment. Meanwhile, both Lauren and Godless Atheist have made claims. Lauren’s claim is based on her personal experience on the ground. Personal experience is good, but can be misleading. It’s easy for me to have an experience that is counter to the norm. But if Lauren’s sample group was large enough, we’d say her claim is statistically safe. So, Lauren, you’re off the hook for now. You, the reader, have a choice. You can believe these at face value, or you can question them. If these claims were made in an academic setting, these arguments wouldn’t fly because they completely lack evidence, are unspecific, and are logical fallacies. They aim to persuade through rhetoric rather than evidence. We are not in an academic setting here, but that doesn’t mean we throw out our brains. It’s simple to see when someone is making a broad claim to change someone’s mind, but doesn’t have a sufficient basis to do so. At best, Godless Atheist’s claims contain several logical fallacies found on this beautiful illustrated chart: 1) Appeal to Ignorance, 2) Appeal to Popular Belief, 3) Division (or Spotlight), and 4) Sweeping Generalization. At worst, Godless Atheist saw an opportunity to stir up angry debate. For now, we will give him or her the benefit of the doubt, and deal with why this claim they’ve made is such a problem. 1) Appeal to Ignorance: In both claim 1 and claim 2, Godless Atheist has not given any evidence for, but has not received any evidence that points the other way. Their own ignorance plies our own ignorance until one of us becomes better informed. 2) Begging The Question/Red Herring: Because it’s a common thing for states to fund humanitarian work, it’s not a stretch to make, or believe, claim 2. But what is the author’s intent with this comment? Are they trying to undermine the work that religious groups do because funding comes from the government? This would be like saying the work of teachers doesn’t matter because the government funds schools. 4) Generalization: Use of the word “many” and “most”: these are vague and generalizing, and can steer evidence very poorly, in the same was as using superlatives like never or always. 5) Appeal to Emotion (Fear): Use of the term “force their religion”. A vague term to begin with, no definition, examples, or evidence has been given. Has Godless Atheist observed an instance of this which they can cite? Forcing religion, in this situation, seems to me to be a general statement expressing potential discomfort from encountered ideas that are foreign to a person. And this happens every single day. 6) Division/Generalization: If a religious group exists that does proselytize to needy people before they give them anything, that group would not be representative of the majority. It is completely unfair and untrue for Godless Atheist to use words like “most” in their claim. So, let’s get back to Gabriel, who has been waiting patiently to have his question answered. If Gabriel is in earnest, can we find the answer to his question? Yes, we can! We will need to ask the only people qualified to answer: homeless atheists themselves. But I’m pretty sure that if we do ask them (and there may be none, or very few, or very many), that they’re likely not going to all give us the same answer. I’d say it’s safe to assume that some will say yes, some will say no, and some will give a conditional answer. But to further the discussion, why don’t pose a corollary? Do religious people feel uncomfortable receiving aid from non-religious organizations? Do religious people feel uncomfortable buying groceries from an atheist supermarket cashier or receiving tax breaks from secular governments? Sometimes it helps frame the nature of a question to think about its reverse. If Gabriel’s question is not in earnest, it might instead be an incendiary comment meant to stir up debate on a completely unrelated topic, for example, whether religious groups oppress others.I chose to take some time out of my morning to respond to this discussion at the risk of feeding a troll, because I believe we can all do our part to make the Internet a place where good ideas are valued and fallacies aren’t simply let off the hook. A beautifully designed guide to education hashtags on Twitter. Twitter has taken the Education world by storm, but how to track all that’s going on? Here’s a beautifully laid-out guide to some of the best and brightest Twitter hashtags that will point educators and students to resources and tips. Today there is a wide measure of agreement, which on the side of Physics approaches almost to unanimity, that the stream of knowledge is heading toward a non-mechanical reality; the universe begins to look more like a great thought than a great machine. Mind no longer appears as an accidental intruder into the realm of matter; we are beginning to suspect that we ought to hail it as the creator and governor of the realm of matter. It is not possible to formulate the laws of quantum mechanics in a fully consistent way without reference to consciousness. As Dallas Willard, to whom I am indebted for these quotes, points out, the purpose of printing these quotes is not to interpret them further than is warranted, but to shed light on the intersection of a non-spatial, conscious or cognitive dimension with the dimension of physical matter, which for any person is a fascinating proposition with ramifications in areas such as possibility thinking, creativity, faith, and philosophy. I am grateful for those physicists who are daring and open-minded enough to make statements based on their research that cause the whole scientific establishment reason to rethink, innovate, and deviate from governing, even hegemonic strictures of belief and acceptability that may cross over into the unscientific.